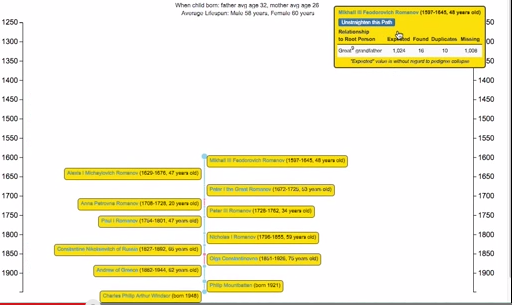 I have been playing with a d3.js-based family tree visualization tool (available at https://learnforeverlearn.com/ancestors/?file=royal92.txt with part of the British monarchy tree loaded; you can also load your own GEDCOM file or view other samples). 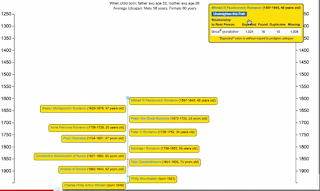 When viewing the whole tree, and focusing on a single person in the tree with its path winding its way to the root person, I was wanting to be able to "collapse" the path to a straight path and show all of the people in that path. I implemented this using d3's attrTween for the relevant svg path attribute of the (cubic) Bezier curves, and thought it seemed pretty cool. 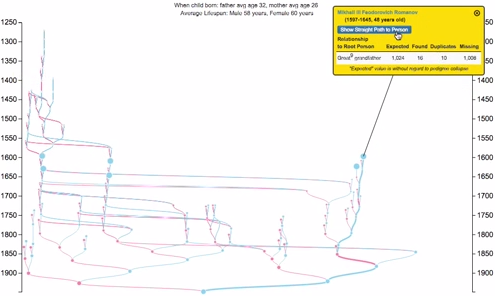 A short video demonstrating this feature is linked to below (video is cued to where the feature is used). A few screen shots of the before and after are also shown. The implementation uses transitions and attrTween to animate the svg path parameters for the curves used for the links between nodes (these are cubic Bezier curves in this case). As a point of reference, a screenshot of a typical path and the associated equation is shown below. The idea here is to keep the $y$ values for the points the same, while transitioning the $x$ values to the $x$ value for the root person at the bottom of the screen. This will result in the Bezier curve actually being a line. Undoing the transition just means moving the values back to their original values. The basic idea with the attrTween function is that you create a function that is given a $u$ in $[0,1]$, and it returns the desired value for the path element at that $u$. When $u=0$ you are at the beginning of the transition, and at $u=1$ you are at the end (the length of the transition is handled via the duration function call for the transition itself). Note that getDFromBezierPoints is a simple helper function that creates the string for the path given the four points. I'm still playing with the durations/delays of the transitions, and there are likely some optimizations that still need to be implemented, but it seems to work ok for moderately sized trees. 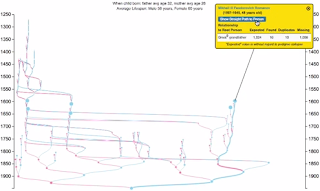 In terms of its utility within the context of a family tree visualization, it allows a sort of "deep dive" into a specific pedigree thread from a high-level view of the entire tree.